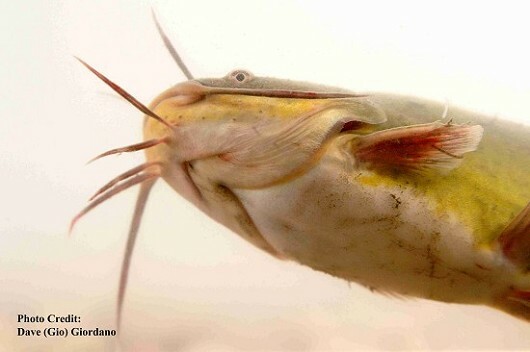 Black bullheads are not well studied in California but in their native ranges their preferred habitats include ponds, small lakes, river backwaters, sloughs, and pools in slow, low gradient streams with muddy bottoms, and warm turbid water. The areas similar to this in California are mostly farm ponds, sloughs, reservoirs, and highly altered, lower reaches of rivers. 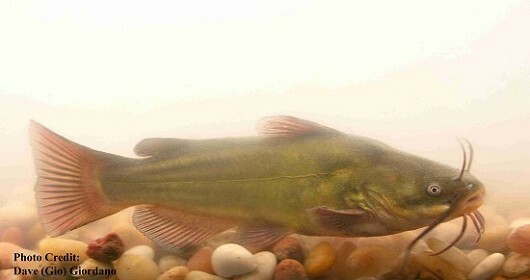 Black bullhead are very hardy, however, and can also be found in waters with temperatures up to 35°C, salinities as high as 13 ppt, and dissolved oxygen levels as low as 1-2 mg/L. This has allowed them to be not only active invaders, but resilient survivors in harsh, temporary environments like ditches and intermittent streams. Black bullheads are very social fish and juveniles can be seen swimming in tight schools throughout the day and foraging together at dawn and dusk. Adults stay hidden under the cover of vegetation beds during the day but will come out to scour the bottom for food after dark. They are an omnivorous species that will eat nearly anything they can find. This includes aquatic insects, crustaceans, mollusks, and even earthworms and terrestrial insects when water levels have risen over previously dry land. Black bullheads will also scavenge dead fish found on the bottom and hunt live ones if they are slow enough to be caught. Growth is controlled by temperature, food availability, and overcrowding leading to large differences between potential growth levels and the levels found in nature. In a lab a black bullhead can grow to 30 cm and 500 g in a single year while it would take 3-9 years to reach that size in the wild. These restrictions are especially prevalent in smaller ponds where growth can be stunted to between 17 and 25 cm in length. This does not stop wild individuals from reaching large sizes, however, with the largest fish on record being 61.3 cm in length and weighing 3.6 kg. Spawning occurs in June and July when temperatures exceed 20°C. Mating begins when the female clears a shallow depression for a nest with her snout and pectoral fins. During this time the male begins the mating ritual by rubbing up against her and brushing her with his barbels. Once the ritual is complete the female lays the eggs into the nest where they stick together forming a yellow mass. Females can lay up to 7,000 eggs per season but more commonly lay between 2,500 and 3,000. The two parents remain with the nest, fanning it with their fins in order to maximize the oxygen the eggs receive until they hatch 5-10 days later. The young will stay in the nest living off their yolk sacs for another 4-5 days before becoming free swimming in the following 2-3 weeks. They remain together in a tight ball under the protection of their parents however until they are about 25 mm in length.